According to this survey from CareerBuilder.com, about one quarter of your co-workers will exchange gifts this holiday season, while 1 in 5 will buy holiday gifts for their bosses. Most will spend lest than $25 on the gift. 1 in 10 cheapskates will spend $5 or less. 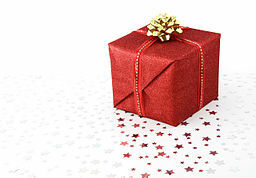 What the most unusual workplace holiday gift your ever gave/received? Let me know in the comments below. Thinking of getting a holiday gift for yours truly? Put your wallet away. 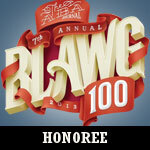 How about voting for this hella-awesome blog in ABA Journal’s Blawg 100 Amici contest. You can cast your vote for The Employer Handbook here, by clicking the banner to the right, or tweeting your support.